Many Chromebooks have internal webcams. Sometimes the quality of these webcams may not be the greatest. Fortunately, there are great external USB Webcam options for Chromebooks that work well with Skype and other video conferencing software. Unlike Mac and Windows machine, you will need to check the compatibility of the webcam with your Chromebook. Not all webcams can say that they are Chromebook compatible webcams. Be sure that the webcam you are buying will work with ChromeOS! Why Get an External Webcam for Chromebook? An external HD Chromebook compatible webcam brings fluid video motion, rich colors, aim-anywhere adjustability, and a wide field of vision in a way built-in webcams can’t match. If you are using your Chromebook for video chatting or web conferences, an external USB webcam for Chromebook might be an ideal option rather than again using the internal video option. 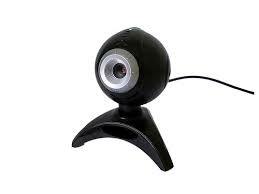 An external video camera will provide a much higher quality resolution image on whatever video chatting software you are using whether it is Google Hangouts or you are using Skype on your Chromebook. Most people who use Skype regularly on a Chromebook will find it very useful to have a better webcam to have high quality calls. There are also many other reasons to have an external webcam for Chromebook. First, plug in your webcam into the Chromebook USB port and then open up your browser, Google Chrome from the menu bar on the bottom of your screen. Scroll down to the Media section, and select the webcam in the Camera drop down list box. This will connect your USB webcam to your Chromebook and allow you to use the webcam over the internal Chromebook webcam. Next, boot up your favorite video chatting program or used a web based application. If the webcam works with the second app, try closing and restarting the original app. If the webcam still does not work, try uninstalling and re-installing the original app. Apps can be removed from the apps list. If after re-installing the app, the webcam still does not work, another app may be interfering. To confirm this, log out of the Chromebook and sign in as Guest. Open Chrome and go to a website that uses webcam, like Skype. If the webcam works, it is a software conflict issue. To resolve this, you may need to reset the browser settings back to the default. For more information on what will change, google “reset settings.” To perform the reset, go to Settings -> Advanced -> Reset settings. Any external microphone you plug into a Chromebook is likely to get automatically selected by Chrome OS as the default mic in the Chromebook’s audio settings as soon as you plug it in. You should not have many webcam audio issues on a Chromebook. Logitech makes the best Chromebook compatible webcams for Chromebooks. Below are reviews of two of the best Chromebook compatible webcams from Logitech. Logitech say they ‘worked closely with Google’ to make sure that compatibility of their devices is as good as it can be. This is important if you are using multiple Logitech devices on your Chromebook. Fortunately, Logitech makes some of the best web cams on any device. The best Chromebook webcam available. For superior video conferencing and cost effective webcams, the best is the Logitech HD Pro Webcam C920. The webcam provides full 1080p HD videos with excellent quality dual stereo microphone. In particular, it has full HD 1080p video calling (up to 1920 x 1080 pixels) with the latest version of Skype for Windows 720p HD video calling (up to 1280 x 720 pixels) with supported clients. Full HD video recording (up to 1920 x 1080 pixels). The webcam is also enabled for H.264 compression for videos eliminating the need for a separate compression activity. Most people view this as the standard for external webcams. Thanks to H.264, a highly efficient compression technology, you record and compress at the same time, so that you get fast, smooth uploads and streaming with less demand on your computer. Even Google has made it the recommended camera for the Chromebox for Meetings, which is a conference tool for small businesses. Alternatively, you can opt for a lesser version of the same webcam, which is the Logitech HD Portable 1080p Webcam C525. 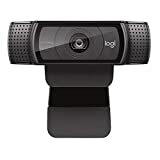 The logitech HD webcam c525 is a great quality webcam that works on Chromebooks at a very affordable price. This provides HD 1080 recording, but HD 720p for video callings in a 16:9 aspect ratio. So, if video calling is not as important for you, you can opt for a C525 too. The Logitech HD Webcam C525. For portable HD video calling and recording-with autofocus. Enjoy smooth HD 720p video calls on your favorite IM or Logitech Vid HD. One-click Facebook, Twitter and YouTube uploading. The C615 comes with a shorter USB cable AND an extension for more versatility. The C920 – like the C525 – comes with only a full length cable (~6′). This Chromebook compatible webcam is a little lower end than the other two Logitech camera’s above. It still is an excellent camera for many users. It has a wide angle lens and 720p resolution. This is perfect for most Skype calls and light video conferencing needs. This little webcam has proven to be a very good value for its price. Its focus and light correction are good and its video and quality are quite reasonable. Chromebooks do not come with a preinstalled app for recording video. Search the Chrome Web Store for apps that can record video with your Chromebook webcam. You may be required to grant individual apps permission to access your webcam. Chat for Google allows you to talk face to face over the Internet with family, friends, and colleagues, using the built-in webcam on your Chromebook. For help using Chat for Google, refer to Chat on a Chromebook or a Chrome browser from Google Chat Help. Using an external webcam on Chromebook will make sure that everyone you are chatting with can see you best the best. The difference from the internal Chromebook web cam and a high quality (HD) web cam is huge. If you are using a Chromebook for any professional purposes, it is strongly recommended that you get a better USB external webcam.